The tourist town of Sauraha stands on the edge of the Chitwan National Park and acts as the eastern gateway to a World Heritage-protected area. Spend the 12th (Mon) exploring nature at Chitwan National Park. Make the 15th (Thu) an awe-inspiring day at Into The Wild Tours & Travel. There's lots more to do: explore the activities along Narayani River, head outdoors with Outdoor Activities, identify plant and animal life at Elephant Breeding Centre, and take in the exciting artwork at Sauraha Art Gallery. To see more things to do, other places to visit, reviews, and more tourist information, refer to the Sauraha trip itinerary builder tool . Kazan, Russia to Sauraha is an approximately 22-hour flight. The time zone difference moving from Moscow Standard Time (MSK) to Nepal Time (NPT) is 2 hours. In November, Sauraha is much hotter than Kazan - with highs of 34°C and lows of 16°C. You'll set off for Pokhara on the 17th (Sat). Pokhara, the second largest city in the country, attracts visitors with its superlative natural wonders and easygoing atmosphere. On the 23rd (Fri), give your taste buds a day to remember with a local gastronomic tour. There's lots more to do: explore the activities along Phewa Tal (Fewa Lake), contemplate in the serene atmosphere at Peace Temple, fly like a bird with a parasailing or paragliding tour, and admire the sheer force of Devi's Fall. To find traveler tips, maps, ratings, and more tourist information, go to the Pokhara holiday website . Getting from Sauraha to Pokhara by car takes about 2.5 hours. Other options: take a bus. When traveling from Sauraha in November, plan for a bit cooler days and about the same nights in Pokhara: temperatures range from 28°C by day to 15°C at night. Wrap up your sightseeing on the 23rd (Fri) to allow time to travel to Langtang National Park. 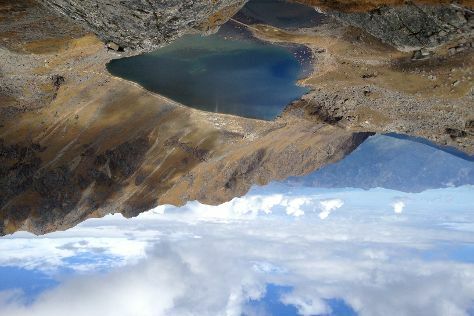 Langtang National Park is known for nature and outdoors. Your plan includes some of its best attractions: make a trip to Kyanjin Gompa and contemplate the waterfront views at Gosainkunda. To see more things to do, where to stay, photos, and other tourist information, you can read our Langtang National Park trip itinerary planner . Getting from Pokhara to Langtang National Park by flight takes about 2 hours. Other options: do a combination of car and flight; or take a bus. Traveling from Pokhara in November, Langtang National Park is slightly colder at night with lows of 10°C. You will leave for Sagarmatha National Park on the 28th (Wed). 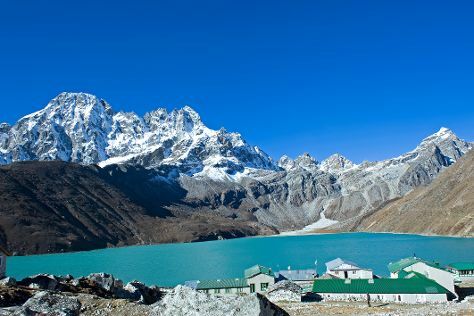 Get out of town with these interesting Sagarmatha National Park side-trips: Namche Bazaar (Sherpa Museum & Sagarmatha National Park Museum), Memorial to Scott Fischer (in Khumbu) and Khumjung Gompa (in Khumjung). For photos, ratings, more things to do, and more tourist information, read our Sagarmatha National Park itinerary planner . Fly from Langtang National Park to Sagarmatha National Park in 2.5 hours. Cap off your sightseeing on the 3rd (Mon) early enough to travel to Kathmandu. Once synonymous with the mysterious and inaccessible Shangri-La, today Kathmandu draws an ever-increasing number of tourists, catering to independent travelers of various budgets. Explore Kathmandu's surroundings by going to Bhaktapur (Peacock Shop, 55 Window Palace, & more). Make the 7th (Fri) a memorable day with a climbing tour. Make the 8th (Sat) an unforgettable day with an extreme tour. The adventure continues: take in the spiritual surroundings of Swayambhunath Temple, take in nature's colorful creations at Garden of Dreams, wander the streets of Thamel, and see the world from above with a helicopter tour. To see reviews, more things to do, ratings, and other tourist information, use the Kathmandu road trip app . You can fly from Sagarmatha National Park to Kathmandu in 1.5 hours. In December in Kathmandu, expect temperatures between 22°C during the day and 5°C at night. Finish up your sightseeing early on the 10th (Mon) so you can travel back home.